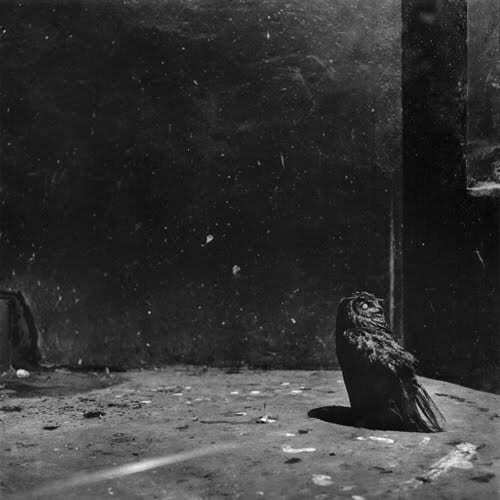 Rather strange and even surreal images of the zoo give us a chill: Gazing into it for a moment, you might find it reminiscent of an empty stage or a cell in jail. JeongMee Yoon’s black and white photos have our gazes wandering somewhere in-between animals and their habitats which is Zoo. The state of wandering is generally perceived as a psychological reaction to a certain kind of deficiency or absence. Different from ordinary zoos with their extravaganzas of curious people in festive moods and the cute tricks of animals, the zoo in Yoon’s photos suggests such dreadful scenes as an empty cage shown through the iron bars, a cement floor soaked with animal blood, and animals barely resting in the corner, which evokes a dreary and hollow sentiment. The space called Zoo suddenly strikes as a representation of wearisome and eeriness. At the same time, the zoo as a tangible space to store animals begins to draw more attention than the animals themselves. Animals in the photos provoke a feeling of sadness and isolation rather than that of affection or intimacy; the photos of an elephant with one ivory broken, a one-eyed owl, a gorilla leaning its head on the window, and stuffed animals with kitsch paintings on the background. The images in Yoon’s photos have a certain remoteness from what we generally believe about the zoo and animals. You may find your naive belief becoming fractured and finally breaking down into pieces. Indeed, all the images tend to open up our stereotypical perception and teach us how to look at them in different perspectives by making a hole or crack onto our firm beliefs. 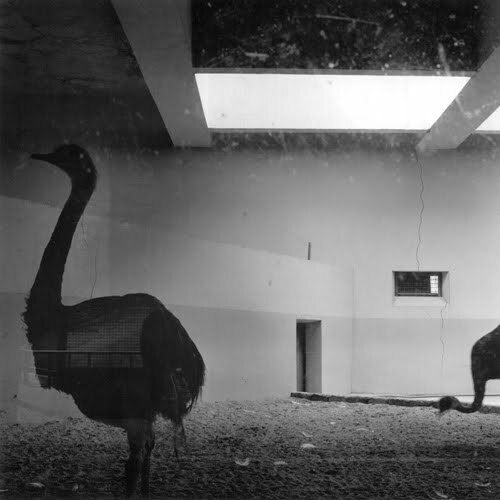 Rather strange and even surreal images of the zoo give us a chill: Gazing into it for a moment, you might find it reminiscent of an empty stage or a cell in jail. Considering the zoo as a specimen room of living creatures, doesn’t it indeed explicate the human history of imprudent killing over animals and of constant subjugation and captivity? What Jeongmee Yoon ultimately attempts to suggest in the series of zoo photos would be the multi-faceted aspects of a space called Zoo. It must hold a strong similarity to fundamentals of human society, such as authority systems, isolation and control, discrimination and exclusion, and captivity and discipline. What really is the zoo for? Yoon’s photo starts from this question. Her photos may seem like a critical view or a comment on the zoo. Why have people created zoos in the first place? What are the functions, structures and the spatial layouts of the zoo like? It must hold a strong similarity to fundamentals of human society, such as authority systems, isolation and control, discrimination and exclusion, and captivity and discipline. What do we actually expect from the zoo? This question is not only applicable to a particular place like the zoo, but the same yet very complex question can also be valid for our lives the origins and fundamentals of our so-called modern life. Also, it leads us to a somewhat self-reflective and existential state. What is a human and what is an animal? Is there a clear distinction between the two? Aren’t we also a fragile creature raised and disciplined to be suitable for the human society? Then, would that be a rational person or what? Would that be just a matter of the social system? Is there anyone completely free from systems or institutions? I suddenly realized that I have gotten obsessed with different questions evoked while looking at Yoon’s photos. This kind of obsession can be a bit overwhelming sometimes. But each time we see images, we end up facing these complex yet inevitable questions. As for small kids, the zoo can be a place full of fun and excitement. In the past, school excursions or children’s day used to be the rare occasions to visit the zoo. We had so much fun watching animals back then. Why do we relate zoos with festivals or special events? Human-beings indeed have long history of celebrating rituals in conjunction with shooting and hunting. It certainly has something to do with animals: People circled around the hunted animals and enjoyed dancing, and they even made stone inscriptions with animal images wishing for further luck in hunting. They say that the Chinese character “beauty” took the image from a lamb offered in sacrifice, which reflects nomadic culture and life where lamb had been the most important food source. Since then, human have learned to fight with animals and cultivate them in order to establish and maintain their own society and culture. With beginning of modern society, human science and technology facilitated the precise capture and butchery of animals. Furthermore, people categorized animals in coherent order for thorough control and management, which resulted in pictorial books, encyclopedia, specimen collections, and biology studies. And the zoo is the essential representation of all the history between human and animals. 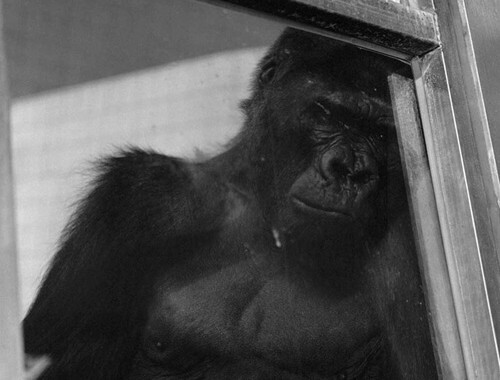 The zoos are the outcome of modern age. 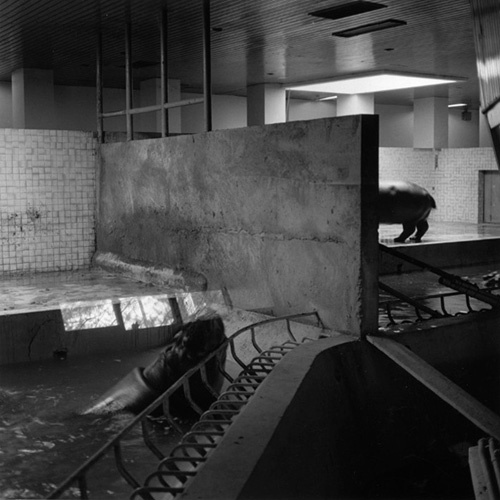 The underlying purpose of the zoo and the time of its establishment coincide with other institutions as museums, libraries, and botanical gardens. The emergence of modern capitalism in 19th century and accordingly emerged notion of weekends triggered the birth of zoo an artificial, manipulated and fabricated nature. The zoo shows the bloody evidence of human-beings and their desire to dominate nature and pursue colonialism as they accumulated wealth and became more materialistic. The caged animals, barely continuing their pathetic lives, became an object of delight for human-beings. Now, the animals deprived of their instincts, memories of nature and their origins exist before us as a piece of specimen or as a representative of each species. There exists a certain distance between the caged animals and myself. The distance marked by the iron bars of the cage makes me feel secure and feel overwhelmed with superiority to those caged creatures. JeongMee Yoon has always focused on specific structures or sites and taken them as a subject of her works, and her concerns about the zoo lies on the extension. It seems like there is not so much difference between the spatial structure of a zoo and the human residences. 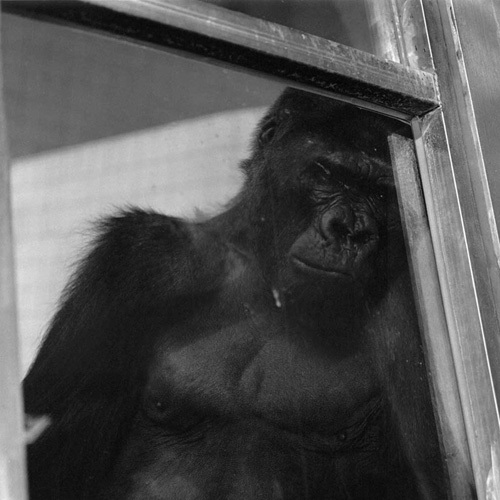 Yoon gradually paid more attention and spent time on the subject of the zoo and produced a series of photos regarding it. 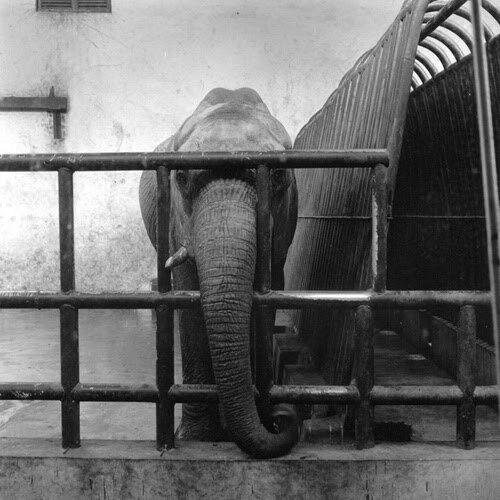 The zoo located next to an amusement park or a museum is a place fully sacrificed itself for the purpose of entertaining human-beings. It appears to be an ideal place where human and nature co-exists in peace, but deep inside, there lurks a history of power and control, invasion and plunder. There exists a certain distance between the caged animals and myself. The distance marked by the iron bars of the cage makes me feel secure and feel overwhelmed with superiority to those caged creatures. Some kids would throw their snacks or small stones with innocent laughs. What a great place to realize how advanced we are as supreme creatures! Posted in Essays and tagged 1980-1990, Animals, JeongMee Yoon, Zoo.